Of the 74 men and women who made the list of World’s Most Powerful People compiled by Forbes, 53 percent are founders and executives of the biggest companies in the world. 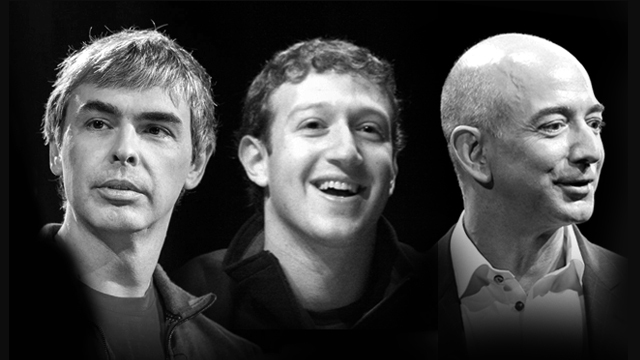 The highest-ranking among the 39 entrepreneurs is Larry Page (No. 8), cofounder of Google and CEO of parent company Alphabet. Forbes cites Alphabet’s varied research and Page’s investments as reasons for his ranking. Joining Page in the top 10 is Mark Zuckerberg (No. 10), cofounder and CEO of social media website Facebook. Several other heads of tech firms populate the rest of the list, highlighting the growing influence of technological innovation and disruption. Among them is Travis Kalanick (No. 64), cofounder and CEO of the world’s richest startup, Uber Technologies. While Donald Trump ranks second in the list, the chairman of Trump Organization is largely cited for his impending US presidency rather than his business ventures. Bill Gates, the world’s richest man, is also in the top 10, but the Microsoft founder was primarily cited for his philanthropic efforts. In compiling the list of the World’s Most Powerful People, Forbes took into account four factors: how many people they have power over; the financial resources they control; if they have influence in more than one sphere; and how actively they wield their power to change the world.